Sand Martin - A summer visitor recognised by the brown breast band and less of a forked tail to that of the House Martin. Also more brown in colour and lack the white rump. They feed on insects and flies that are caught on the wing. 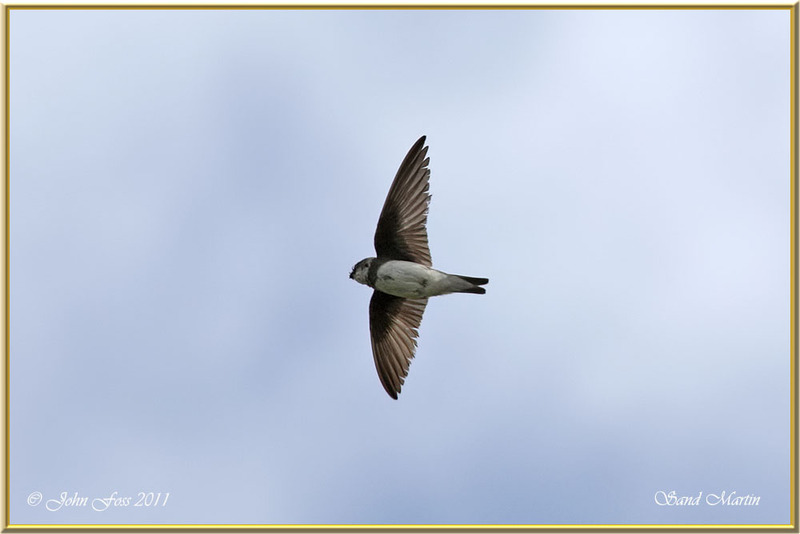 Sand Martins nest in colonies high in the sandy banks of rivers or gravel pits. Or in high coastal sand banks or dunes like this one at Aughris Head County Sligo. Some of these nesting tunnels can be as deep as one metre. 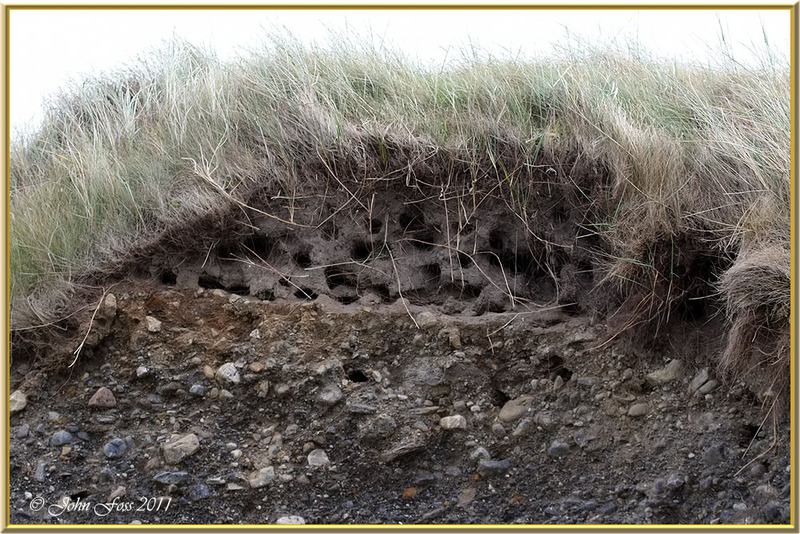 The nesting burrow is built by both parents, the chamber being lined with plant material and feathers. The eggs are white, and shiny. Incubation and care of the young is carried out by both parents.